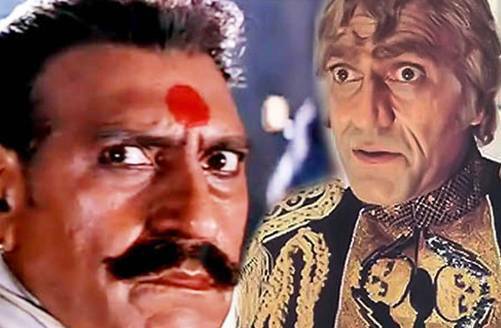 Amrish Puri was very well known Indian Actor who was mostly appeared in the negative role. He played different types of roles in Bollywood but his image of villain most appreciated by the people. His dialogue Mogambo Khush Hua was considered his best dialogue. He did movies not only in Bollywood but he did Kannada, deluge, Punjabi and Hollywood film also. Amrish Puri was born on 22nd June 1932 in Nawanshahr, Jalandhar, Punjab in the Punjabi family. His father’s name was Lala Nihal Chand Puri and mother’s name was Ved Kaur. He had four siblings. Two elder brothers named Chaman Puri and Madan puri both worked for Indian cinema and an elder sister named Chandrakanta And last his younger brother named Harish Puri. Later his family moved to Shimla and he did his graduation from B.M. college Himachal Pradesh. Amrish Puri followed the path of his two elder brothers Chaman Puri and Madan puri who were well established in Indian cinema and well known for their negative roles. Amrish Puri wanted to be the hero but his scared eyes and his striking bass voice made the cause of his failure. He fails in becoming a hero but not in his career he was selected for the villain roles in Indian cinema. He had to join LIC when he was failed in first screen test in 1954. besides this job, he continued to work in Prithvi theater and performed in a play written by SAtyadev Dubey and won the Sangeet Natak Academy award In 1979. He found his break in movies at the age of 40. He played in many movies in Bollywood, Tollywood, Telugu, Tamil, Punjabi but he was best renowned for his work in Bollywood. He was the first notice in 1980 in the super hit movie Hum Panch in which he is played as the main villain. After that, he did many super hit movies in which he played negative roles like Bhumika(1977), Nishant (1975), The churning (1976), Mashal (1984), Mr. India( 1987)etc. He did many movies with Subhash Ghai and became a popular face in those times. The two superhit movie was Vidhata and Hero which he was offered him by Subhash Ghai. Amrish puri’s memorable roles were Mogambo in Mr. India, Thakur Durjan Singh in Karan Arjun, Jagavar in Vidhata, Bhujang In Tridev, Thakral in Meri Jang, Balwant Rai in Ghayal And Lawyer Chadda in Damini. In spite of those negative roles, He was appreciated for his some positive and supporting roles in many movies also. As we remembered his golden Jubilee hit movie name Dilwale Dulhania Le Jayenge in which he played a supporting role and Pardes in which he played as an NRI. He also played a positive role in many hit movies like Ghatak, Phool or Kante, Gardish, China gate, Virasat etc. 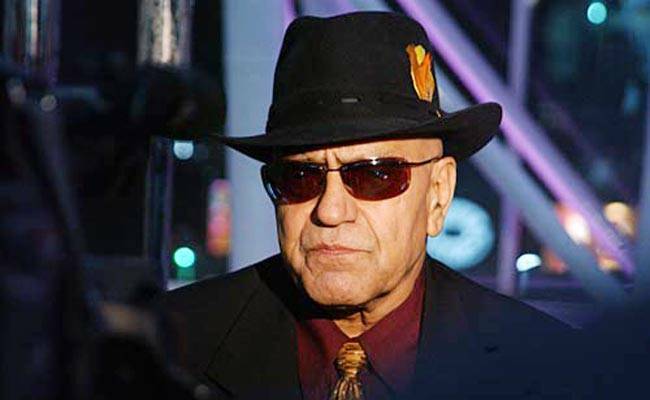 He was also remembered in Outside India for playing a character of Mola Ram In English movie named Indiana Jones And the Temple Doom (1984), or this movie he had to clean shaved his head. He also played as a Khan in a Hollywood movie Gandhi(1982). He also did many Punjabi movies like chan PArdesi, Sat Sriakal and Shaheed Uddham Singh. He got three times Filmfare Best supporting actor award for his movies named Ghatak, virasat, Merijung. He played in more than 400 films in his career. His last film was KAchhi sadak which was released few days after his death. 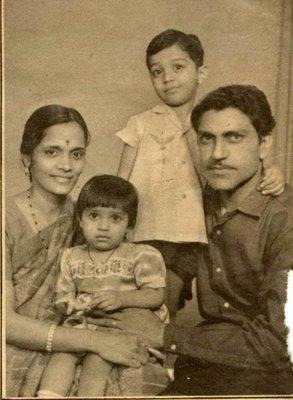 Amrish Puri Was married to Urmila Divekar on 5th January 1957, in Sri Krishna Temple In Wadala. The couple has two children named Rajeev puri and Namrata puri. His son Rajiv is a businessman and married to physiotherapist Meena. Puri had four grandchildren named Sachi, Harsh wardhan, Shantanu Bagwe and Krish Bagwe. His hobby was to collect different types of hats. whenever he went abroad he always bought hats from there. he had a collection of 200 hats in his wardrobe. He was very religious in nature. He was suffered from the Brain hemorrhage. he died on 12 January 2005 due to his illness in Mumbai at the age of 72. Amrish Puri had done approx 400 films in his career. He is always remembered as the best villain In Indian cinema.